In an environment where financial services and products are getting more complex, it is essential to ensure that customers’ capacities are adequate and they can use them responsibly. Especially for people who have never dealt before with formal financial services, they can easily be overwhelmed by the variety of offered products and not be well-informed on contractual conditions including its benefits and risks. Rural population, in general, and especially women often lack the skills to make informed financial decisions. Hence, financial education is aimed at enabling individuals to make savvy financial decisions and to seek appropriate advice. The measures range from traditional classroom trainings, through interactive lessons with role plays and games, to financial literacy brochures. AFC has implemented various projects with focus in increasing the financial literacy among marginalized target groups. We developed financial literacy curricula for public schools in Ghana, Kenya, Nigeria, Tanzania, Tajikistan and Uganda. We designed different financial education trainings adjusted to the realities of the target groups like farmers or rural population in Ghana and Nigeria. 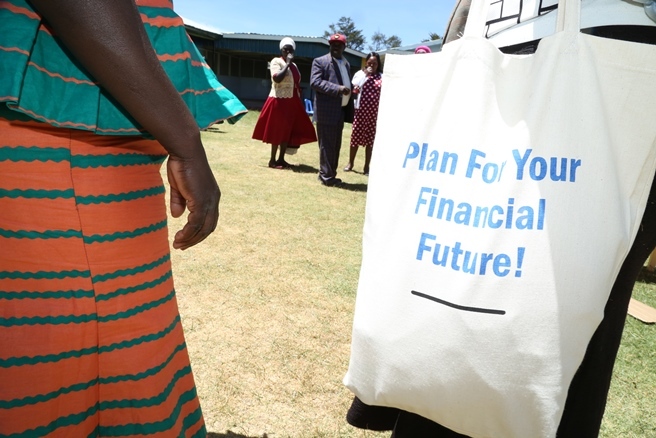 While financial literacy trainings initially focused mostly on money management, loans, and savings, the importance of trainings on topics such as insurance and digital finance increased steadily. While financial training might target a rather limited number of individuals, a wider audience can be reached through financial awareness raising campaigns. These campaigns are conducted to build trust. In Jordan, for instance, we used not just on social media channels but also on radio shows and public events to disseminate relevant messages. Road shows and village theatres also proved to be feasible ways of reaching out the target groups especially for our long-term projects in Ghana and Nigeria.